Five years ago, Jenna* lost her brother and father in the Syrian war. She was threatened for months with being arrested and assaulted. She moved a year later to Jordan with her mother, sister and grandmother, who passed away. They stayed in a refugee camp for a while, but they got transferred to a different one after being infected by diseases. 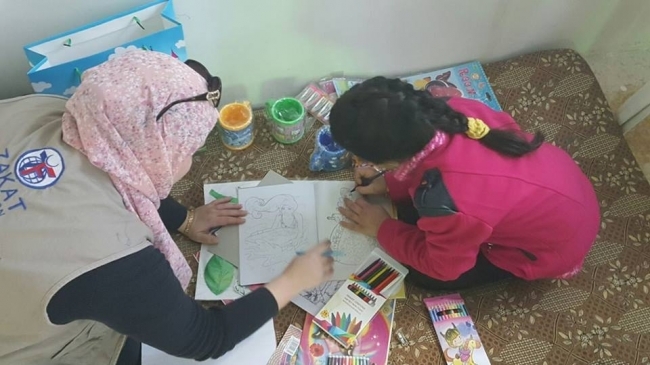 Jenna, a 9-year-old Syrian orphan, has been receiving Zakat Foundation of America’s (ZF) help since 2015 through the orphan sponsorship program. Her family has benefited from ZF programs as well, including Ramadan food packages, Eid clothes, udhiya, winter kits and school supplies. The Eid clothes they received were the first time in the three years that Jenna and her siblings got to choose their own clothes. Jenna’s mother still remembers the day ZF first helped her. Jenna is in third grade, but she is struggling in school after missing out on two years of education in Syria. The public schools for Syrians in Jordan teach for three hours in the afternoon rather than a full day. Her mother cannot afford to put her in a private school, so she tries to help and teach Jenna as much as she can. Jenna wants to be a painter when she grows up. She said she feels happy when she draws because she can explain everything going on in her mind. She likes to draw her house in Syria. 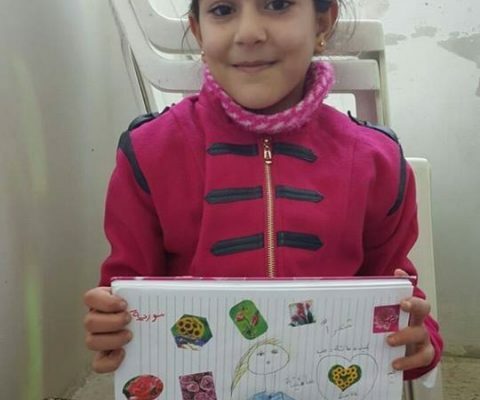 One of the first things she does each morning is write “Syria” in her notebook to feel happy and remember her home and friends there. Her dream is to return one day. ZF strives to invest in orphans around the globe to bring stability and hope to their lives. It’s through your generous donations that ZF was able to expand its sponsorship to more than 1,200 orphans in 2016 and plans to improve the lives of 1,000 more this year. Many poverty-stricken children lose parents and have no one else to whom they can turn. ZF does its best to protect as many of those vulnerable children as possible. Your contributions can put orphan children on a pathway out of poverty. *This orphan’s name has been changed to help protect her identity.